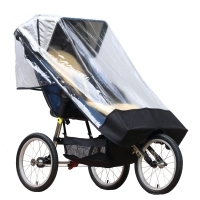 These three-wheeled buggies are specifically designed for children with disabilities. 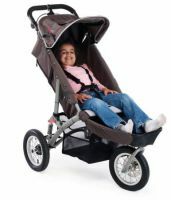 They provide postural support, and are usually more robust with higher weight capacities than conventional buggies. 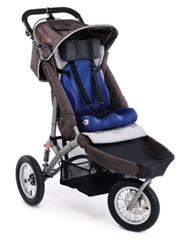 The postural support features include reclining seats and backrests, chest harnesses and vests, pelvic belts, seat and back wedges, head supports and adjustable footplates and push handles. Three wheeled buggies may be more manoeuvrable than four wheeled buggies, but they can be less stable. 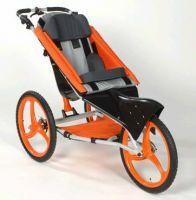 Wheelchairs may be able to provide your child with some independent mobility. Many wheelchairs provide a more practical and stable seating position for carrying out activities. Wheelchairs tend to look more sporty. 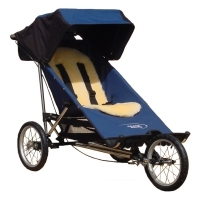 Moulded and customised seating can be more easily fitted to wheelchairs. Children can usually achieve a better seating position in a wheelchair than a buggy which has both short and long term beneficial effects. 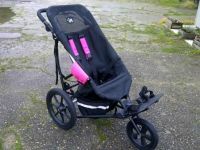 These specialised buggies may be provided by your child's wheelchair service, depending on their eligibility criteria. 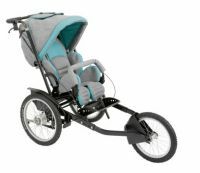 It is very important that the occupational therapist and/or the physiotherapist working with your child are involved in the choice of buggy. 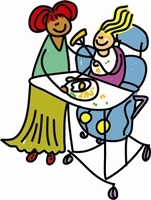 They can advise on positioning to encourage head control and sitting balance, and on buggies that encourage a symmetrical sitting posture.